Singapore, 7 December 2013 – The group of civil society activists who coordinated a statement regarding the prosecution of Alex Au have announced they will respond to the Attorney-General Chamber’s (AGC) statement of 5 December 2013 in due course. The AGC’s statement was published on its website on 5 December 2013. It was in response to the statement signed by 170 individuals which called on the government to stop the prosecution of Mr Au. Mr Au is a blogger who has been charged with scandalising the judiciary for a blog post he wrote in October 2013. 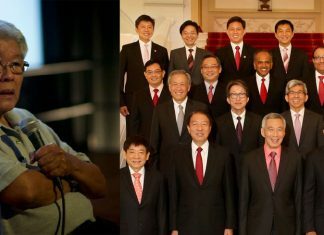 The statement included the names of prominent persons such as Professors Cherian George and Paul Tambyah; activists Braema Mathi and Jolovan Wham; publisher Fong Hoe Fang; the former Methodist Bishop Dr Yap Kim Hao; and members of the Arts community such as Ken Kwek, Neo Swee Lin, Ivan Heng, Lim Kay Siu, and Norah Samosir. The statement in response to the AGC’s statement will be published on 10 December which is the United Nations’ Human Rights Day. Members of the public wishing to sign the response statement have been asked to email civilsocietysg@gmail.com.